Galloway is a hidden gem in SW Scotland. A fantastic place for a break or family holiday. And we’d be thrilled if you stayed in our five-star Galloway cottage. 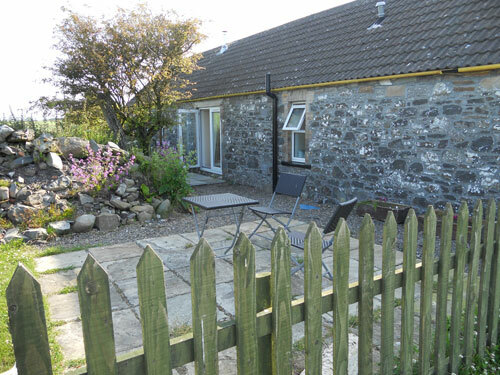 Starting at £342 per week, Burnside is one of the best-value cottages in SW Scotland. Our family has been visiting The Machars peninsula, south of Newton Stewart, for years and we hope the insights in our LoveGalloway blog will persuade you to visit, too. Burnside is a 19th century farm workers’ house set in Galloway's green, rolling countryside and located a mile from the sea. The cottage sleeps five in three bedrooms and is well-equipped to meet the needs of families, lovers of local food and those who want to relax in a beautiful, peaceful environment. Glorious Galloway boasts a 200-mile coastline with sandy beaches and rocky coves, wildlife, birdlife, fantastic local food, walking, cycling, outdoor pursuits, stargazing, fishing, gardens, lochs and hills. It is ideal for those seeking action and adventure, but equally suited to those who want to getaway and recharge in a stunning natural environment and families who need to reconnect as we hurtle through our busy lives. We hope this website helps you plan a wonderful break in Galloway. Allow us to be your host and your guide. There is lots of information available at Burnside Cottage, too.